Have you been waiting and preparing for this moment for what feels like years, and now it’s practically here? 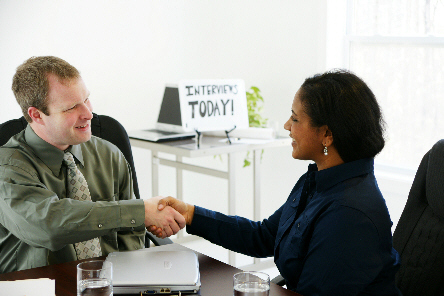 You’ve studied every possible interview question that is out there. Maybe it’s just in few hours away or minutes. Nevertheless, you are so eager and want to do something to get yourself back in cool and collected mode before it happens. You all will agree with me that a great interview starts with a great meal. It could be your favorite comfort food. No one can give solid interview answers when their stomach is grumbling. Basically, if you can’t give yourself the motivational talk you need, let someone else do it for you. Nothing’s better than the encouragement of a caring, positive friend or family member before a big, stressful event, and it makes all the difference. Fresh air does everyone a lot of good. If you have a phone interview, take a stroll around or, if you’re feeling ambitious, a run to release all those healthy endorphin. If it’s in person, take five minutes before you enter the building to walk around and clear your head. Start a note on your phone or book and jot down all the necessities; the building address, the hiring manager’s name, the time, the three main things you’d like to get across in the interview, your questions, whatever else you can think of. The more you have set to go, the less you have to worry about and you’ll feel so confident you’ve got it all covered. Talking to yourself is smart and scientifically proven to help motivate yourself. Motivate yourself by saying good things to yourself. For example: you’re smart, you’re qualified for this role, you’re going to kill it. Say it out loud and with confidence in a quiet place. By listening to music,you fill your head with energy and excitement, rather than negative thoughts and it releases tension in you. Worried about not having a good response to a tricky question? Be proactive and learn how to cover your tracks when you don’t know an answer. By thinking ahead, you can truly rest assured knowing that even if the worst happens, you’re more than ready to handle it. So maybe you’re not looking forward to nervous-sweating for two hours in front of a complete stranger, but what’s something you’d be excited to power through this for? A nice meal? A massage? Whatever it is, prepare for it to be ready for you when you’re done. This way, you have something awesome to look forward to and focus on, instead of your jitters. You’re facing one, maybe two people, and having a nice conversation about your career. As much as you want to work for them, they’re also really hoping you’re the one.” Remember that this isn’t just going to be them grilling you, you have questions you need answered, and they’re likely nervous about making a good impression, too. Finally, smiling makes you feel more confident, even if it's fake, so what’s the harm in trying it? I know the answer: none. And even better, if you smile long enough, you’ll make the hiring manager like you more.